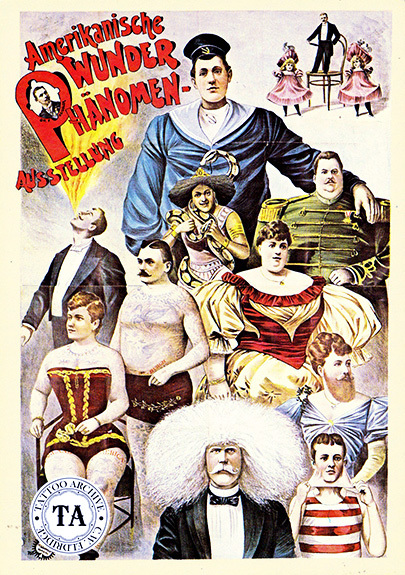 Frank and Emma DeBurgh were one of the most famous turns of the century husband and wife attractions. Tattooed by Samuel OReilly during the late 1800s in New York City, the De Burghs were two of the many American attractions that worked with great success in Europe. 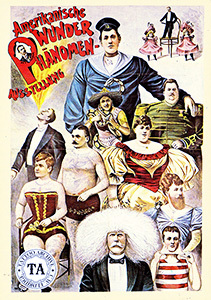 First exhibited in Berlin, circa 1891, they took the show biz world by storm. They were tattooed with many religious motifs. Emma had a version of the The Last Supper tattooed on her back.